**Disclosure: No compensation was received for this post. All opinions are 100% my own. The restaurant was candlelit during our visit so the pictures reflect that. 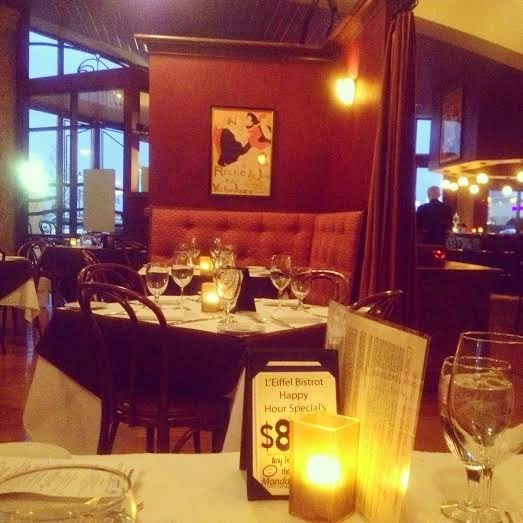 If you are looking for a taste of France in the suburbs, L'Eiffel Bistrot and Crêperie is the place to go! We have been frequenting L'Eiffel for a couple of years now for a variety of occasions--birthdays, anniversaries and even those days when you just can't figure out what to eat but you know you want something special. 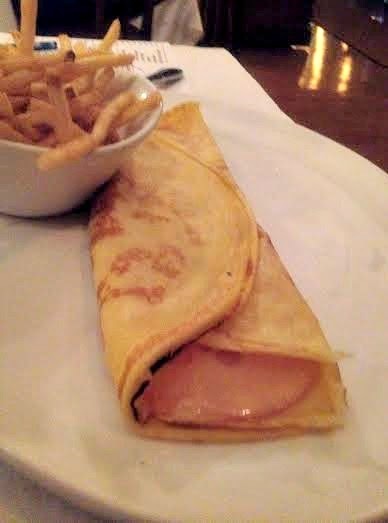 L'Eiffel has both casual dishes in particular crêpes and more refined dishes. The dedication to authentic French cooking is evident and much appreciated! There is a kids menu, so little ones are welcome but I recommend bringing them in the earlier hours for lunch or an early dinner. Dinner has a candlelit atmosphere turning the restaurant into a desired location for a romantic dinner or a girls' night out. When my daughter comes along, she loves to order a crêpe. How fun for kids, right? Plus, she loves to order the Lorina Lemonade that the waiters actually pop open and keep chilled. Warm weather days are particularly fun because L'Eiffel has a lovely patio area making for an enjoyable lunch or dinner experience for parents and kids alike. A lovely and special family meal! Deciding a place for my birthday was easy--somewhere worthy of an occasion that we all like! 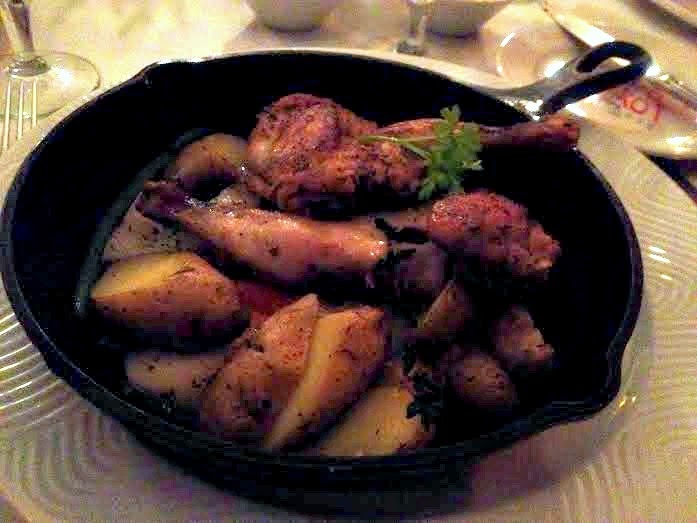 Plus, I absolutely love L'Eiffel's cornish hen with roasted veggies including my favorite--potatoes! So, a birthday visit was a must. And, yum! Dinner was delicious! I truly enjoyed my meal and it was large enough that I had half to take home. 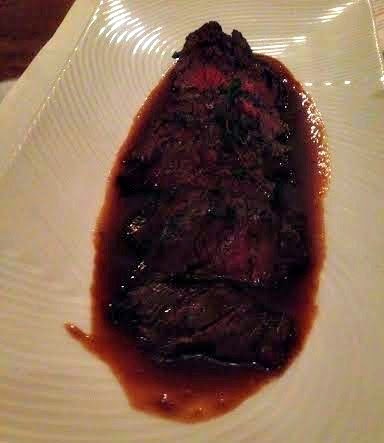 My husband easily devoured his steak. We do enjoy our visits to L'Eiffel but the service can be a little slow. So, be prepared so sit for a little while. Overall, we Americans do need to slow down a bit so a little relaxation may be totally welcome! Pay attention for special events when planning for your visit. L'Eiffel hosts a variety of events that may add even a little more sparkle to your evening out including wine tastings, girls' night outs and more. They also have brunch on Sundays. On Mondays, bottles of wine are 1/2 off. Do you need more incentive? 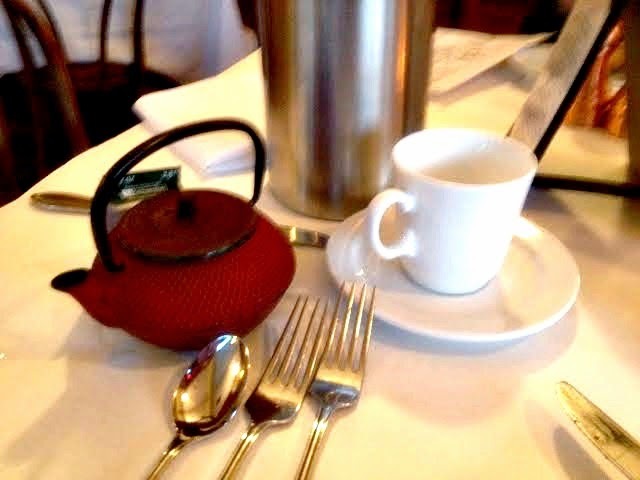 If tea is more your thing, I have to say that I was totally delighted by their use of cast iron pots for serving. Adorable, right? L'Eiffel Bistrot is located at the Arboretum Shops in South Barrington. So, take advantage of nice stroll and some shopping before or after your meal.